The first Australian and New Zealand Stata Users Group (ANZSUG) meeting was a big success when it was held in Adelaide in 2004. The second was held in Melbourne in September 2006. 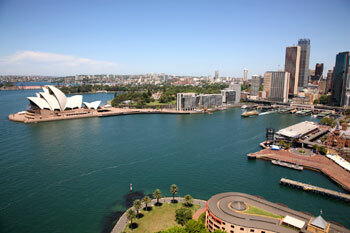 Now the third Stata Users Group meeting will be held in Sydney. Stata users from all disciplines are invited to attend. Beginners, experts, and anyone in between are welcome. The aim is to bring together a wide range of users to discuss statistical analysis, data management, and graphics using Stata. Speakers are encouraged to present their experiences with the package, whether using standard commands, writing new programs, or exploiting the graphics facilities. This meeting involves structured thematic sessions on novel usage of Stata for analysis of biostatistics, econometric, psychological data, etc. Stata developers from the United States will host a “Wishes and grumbles” session. Attending will be Roberto G. Gutierrez, StataCorp’s director of statistics, and Alan Riley, StataCorp’s vice president of software development. Those required to present will need to email their presentation (slides) to keesman@tpg.com.au by Friday, October 30, 2009. Please travel at your own expense. There will also be an optional informal meal at a restaurant on Thursday evening at an additional cost (TBA). The logistics are being organized by Survey Design and Analysis Services Ptd Ltd (http://www.survey-design.com.au), the distributor of Stata in Australia and New Zealand.